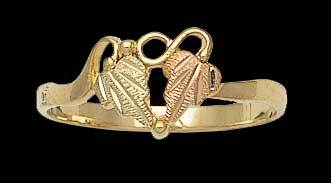 Two leaves make one heart in this 10 karat gold Black Hills Gold ring for ladies. Rose gold and green gold leaf accents are all 12 karat gold. See our other Black Hills Gold Rings.